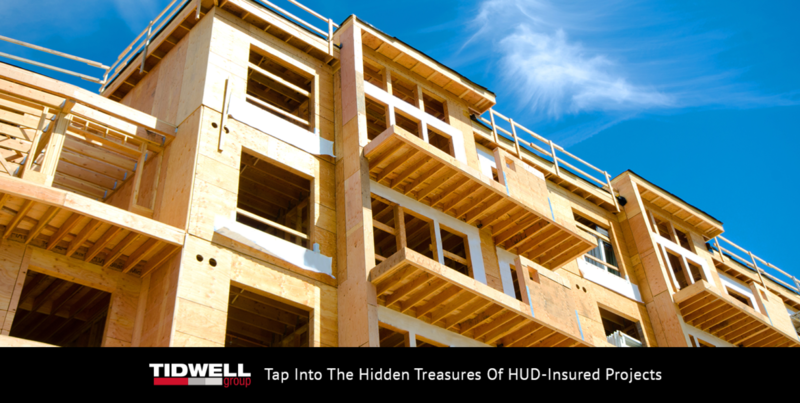 Developers – Have You Tapped Into The Hidden Treasures Of HUD-Insured Projects? Most affordable housing developers are comfortable within the subsector of the real estate industry. They understand the complex rules and tricks of the trade related to winning affordable housing projects in the states in which they operate. Developers use internal or third party management companies who spend countless hours ensuring the projects are compliant with the rigorous and complex rules tied to the Low-income Housing Tax Credit (LIHTC) industry. And lastly, developers are generally well-versed in locating the land for affordable housing deals that will gain enough points and support for a tax credit allocation. However, the business of winning deals for the development of affordable housing properties can offer affordable housing developers much more. “You might ask why a HUD-insured project?” says Northcutt. “There are tax as well as non-tax benefits that may not be readily clear to those who are not aware of the positive impact of HUD-insured development,” he said. 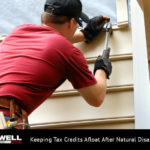 The non-tax benefits include the fact that the debt is qualified non-recourse debt. This means that if the financials of the project erode, the keys can be handed back to HUD without recourse to the developer. This offers additional risk protection to developers who may be looking for additional security. Second, HUD will finance a large portion of the project so the equity requirement, depending on a few factors, can be quite low compared to a typical market rate product. This translates in cash flow that is less constrained than it otherwise would be and a greater ability on the part of the developer to fund the development. Third, the equity requirement necessary to complete a HUD deal is open to more sources than a typical tax credit deal. Many HUD developers have built a strong “friends and family” base of investors to help fund the gap. In addition, many developers are becoming more savvy and letting the existing land owner contribute the property and receive a percentage of ownership of the entity in order to minimize the upfront cash outlay. Another benefit is that HUD-insured projects can make for great long-term hold assets that can create significant value inside of a larger portfolio should the developer decide to cash out one day. What about the tax benefits of HUD-insured projects? “Many in the industry know about and understand cost segregation as it has become a hot topic when discussing year 15 strategies surrounding tax credit properties,” said Northcutt. These cost segregations are prime for a HUD or market-rate project as they are performed once the project is built. The benefit is that the cost segregation can move up to 40% of the depreciable basis into 15 and 5 year life assets. The impact of this is the acceleration of depreciation deductions that the developer would have had to otherwise wait much longer than 15 years to offset against taxable income. 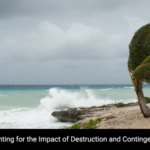 In addition, currently, there are still bonus depreciation opportunities to increase these tax benefits into the first few years of a project. How? Bonus depreciation currently allows developers to deduct 50% of the adjusted basis of a project right off the bat. The bonus depreciation percentage decreases to 40% in 2018 and 30% in 2019, so developers will want to move quickly to use this tax benefit. This significant deduction becomes an offset to taxable income thereby lowering taxes of the owners in the early years of the project. Bonus depreciation can be so significant that it creates excess deductions. Accordingly, if the developer is in a net operating loss position, he/she may qualify to carry these losses back three years and receive tax refunds on previous taxes paid or use the operating losses going forward to offset taxable developer fees to be earned in future years. It is clear to see why growing a real estate portfolio that generates strong cash flow, creates significant tax savings, and has a lower up-front equity requirement would be undeniably attractive to LIHTC developers. What About Timing (And The Suggested Three Year Cycle)? What is so special about timing the building of a HUD-insured project every 3 years? There is no magic bullet around this number although there are a few factors to keep in mind. One downside to the HUD process is the time it takes to go from pre-development through the HUD approval process. HUD has taken steps to make this process more efficient. In the past few years, however, for most affordable housing developers who are accustomed to their particular state application and approval process, this can seem like a much more daunting task. If a project is taking 12 to 15 months in the construction process, then a project is taking about 3 years to reach stabilization. At the same time, the bulk of the tax savings generated from the cost segregation analysis is created in the first few years of the project. Therefore, a developer aspiring to continue to reap the depreciation benefits of cost segregation would want another project ready to come on-line in order to continue deferring taxes further down the road for as long as possible. Finally, HUD-insured projects have become very marketable as Real Estate Investment Trusts (REITs) have come back into the market and are interested in purchasing the HUD-insured assets due to their associated low interest rates and stable cash flow. Under circumstances where developers need to liquidate part of their portfolio, it is much more feasible to move one of these projects versus dealing with the exit on a LIHTC deal which typically does not generate much cash on the back end of the deal anyways. “Finding a HUD-approved lender that you can successfully work with and that you can develop a long-term relationship with is key,” said Northcutt. There are many highly qualified lenders in the market that will be very interested in meeting and discussing the various stages of the process with a developer. Further, they are generally more than willing to walk the developer through HUD’s sometimes rigorous process. Just as critical to ensuring that the tax and non-tax benefits are achieved is a developer’s decision to engage a CPA that knows and understands not only the upfront HUD rules and regulations but who is also experienced with the long-term rules. Otherwise, missteps can happen along the way that could preclude or eliminate the tax savings that developers could otherwise benefit from. In summary, the tax and non-tax benefits of HUD-insured projects can make a significant and positive difference for developers. Being aware of the potential tax refunds, accelerated tax deductions and lower equity requirements that HUD-insured projects can provide is a step towards making such benefits a reality.